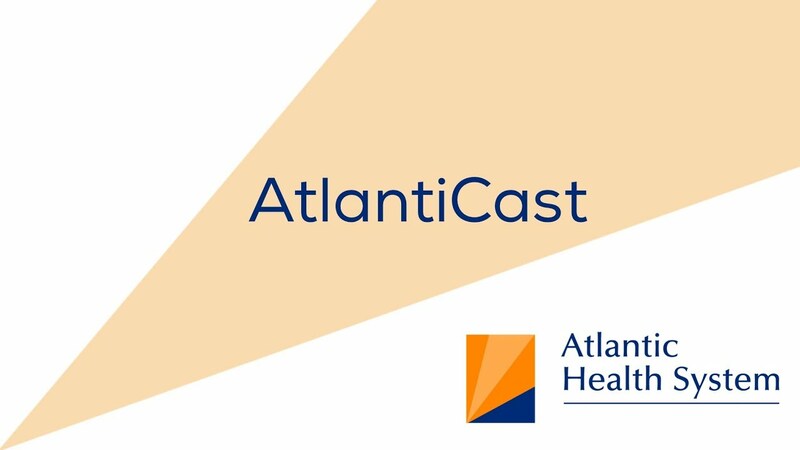 On this episode of AtlantiCast, you’ll learn about a gathering of leaders in cardiology from around the world at the Frontiers in Cardiovascular Disease Symposium, see the 100th air transfer of a patient to Overlook Medical Center’s Atlantic Neuroscience Institute and enjoy the signs and sounds of Goryeb Children’s Hospital’s participation in the Jets Crucial Catch game. A gathering of world leaders in cardiology. in a crucial catch and much more. Hello I am Luke Margolis, welcome back to AtlantiCast. top headlines at Atlantic Health System. Frontiers in Cardiovascular Disease Symposium. 250 participants from around the world. as well as best practices in cardiac imaging. benefit report was just released. and those without health insurance. Medical Center's Atlantic Neuroscience Institute. Air three that made the transfer. to get highly skilled treatment as fast as possible. according to hospital President Alan Lieber. every minute saved, saves brain tissue." partnering to fight pediatric cancer on and off the field. served as honorary captains at a recent Jets home game. recently made a visit to the kids at Goryeb. with patients, parents, and staff. pediatric cancer go to atlantichealth.org/jets. to find a vaccine for Zika. Medical Center is playing a lead role. of a Zika vaccine trial in humans. For more information go to atlanticast.org. Joe Wilkins was invited to participate. primary care in underserved communities. designed to better coordinate patient care. is a fully renovated location. moment that matters here at Atlantic Health System. who couldn't make it to the official wedding the next day. and staff at Newton brought flowers for the ceremony. some events coming your way on the calender. team members were excited to attend. in Sparta, sponsored by Newton Medical Center.